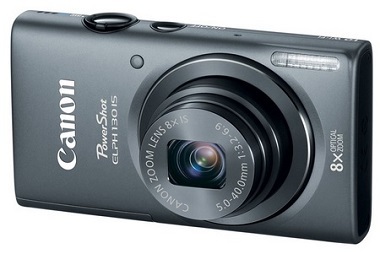 The Canon PowerShot Series is quite popular when it comes superb image quality at an affordable price. If you are planning to grab a digital camera lately then now is the best time as you can get the Canon PowerShot ELPH 130 IS 16.0 MP digital camera at a discount price, click here for details. The Canon PowerShot ELPH 130 IS digital camera has a built-in WiFi so you can transfer photos and videos to your desired social network. It has a 16.0 MP image sensor and is equipped with DIGIC 4 Image processor. It has 8X optical zoom lens and also supports HD 720p video recording. Users will be able to select from 32 predefined photo capture modes. The optical image stabilization (IS) makes sure that your images do not turn out to be blurry and shaky. The Canon PowerShot ELPH 130 IS 16.0 MP digital camera is available at Amazon for $109 (see details) with red, gray and silver color to chose from.